Tanasha Donna is an entrepreneur who has invested in beauty industry, she is the CEO and founder of ‘For Her Luxury Hair’ – hair brand. Education : Tanasha studied tourism in Belgium. She also studied foreign languages and can fluently converse in English, Swahili, French, Dutch and Spanish. Tanasha currently works for NRG radio as a presenter. She is also a video vixen, she appeared in Ali Kiba and Christian Bella’s hit song ‘Nagharamia’. Diamond Platnumz confirmed he was dating Kenyan beauty Tanasha Donna Oketch on November 23rd 2018 during the inaugural Wasafi Festival in Mtwara. The Bongo singer revealed he was more than ready to marry Tanasha during a recent interview with Wikienda on Friday November 30th. 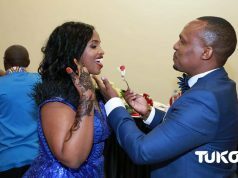 “Tanasha is the only lady who showed me some seriousness on the (marriage) idea and I now officially announce that I am marrying her. She got all the qualities of a woman any man would wish to marry. Many of us men only focus on the physical attractiveness of a woman, body shape among other things, which she got as well, but what convinced me more and attracted me is her good manners,” said Diamond Platnumz. Kenyan decent broke up with Shuga actor Mutuma in August 2017 after dating for about seven months. Bongo flava star Diamond Platnumz has confirmed his new love relationship with Kenyan beauty Tanasha Donna Oketch. Tanasha happens to be the ex-girlfriend of hunk actor Nick Mutuma. 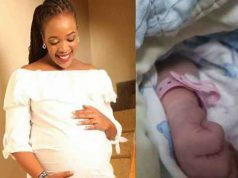 Tanasha Donna has denied rumours circulating in Tanzania that she is Ali Kiba’s Kenyan fiancée. The news went viral after Ali Kiba’s brother confirmed the Chekecha Cheketua hitmaker will be marrying a Kenyan woman. Two years ago, Kiba used Tanasha as his video vixen in the song Nagharamia, featuring Christian Bella. The model insists she and the singer have never been an item. We can confirm that Tanasha is in a relationship with another man. Not Ali Kiba. And most certainly, not Nick Mutuma, her ex. Kiba is said to be marrying a Mombasa-based woman identified as Amina Khaleef. The two are said to have been dating since last year, after the singer parted ways with beauty queen Jokate Mwegelo. LILIAN MULI EMBARRASSED AFTER AWILO LONGOMBA SELFIE! !